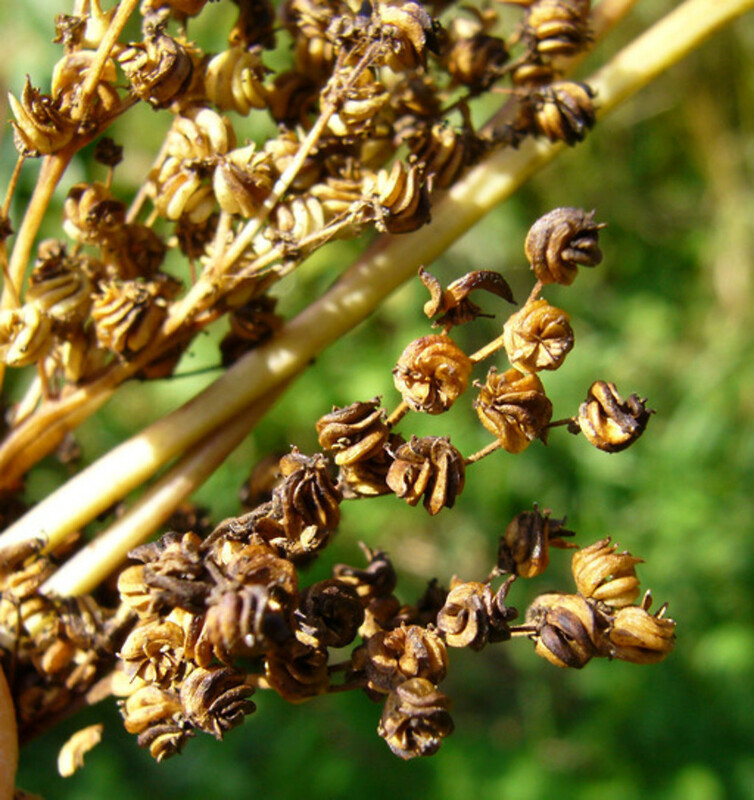 Meadow dropwort is an herbaceous, perennial member of the rose family, native to western Asia and Europe. 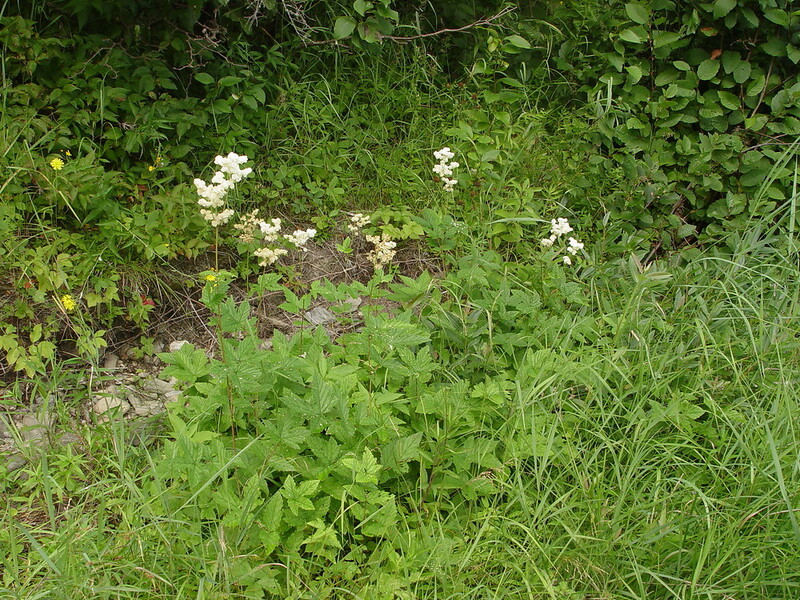 It grows 1-2m (3-6 feet) tall, and produces sprays of showy, fragrant white flowers in mid-summer. 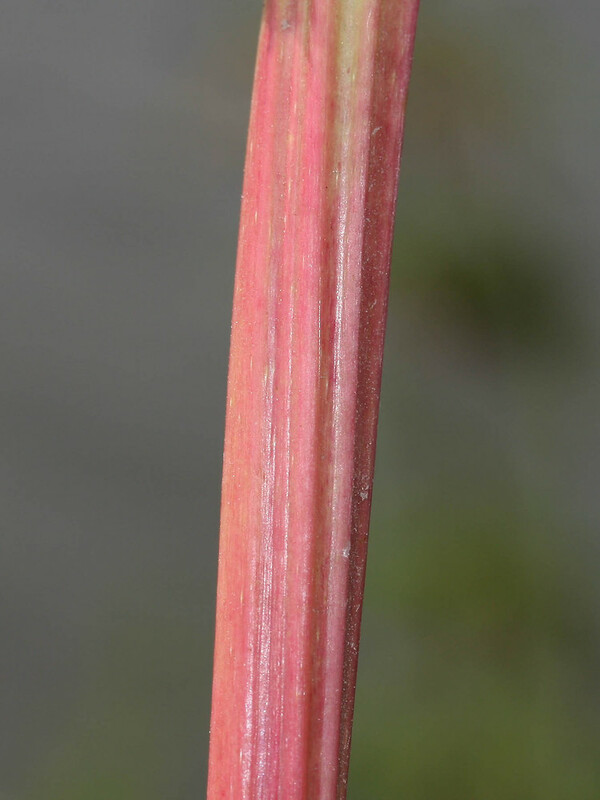 A few pink cultivars also exist. 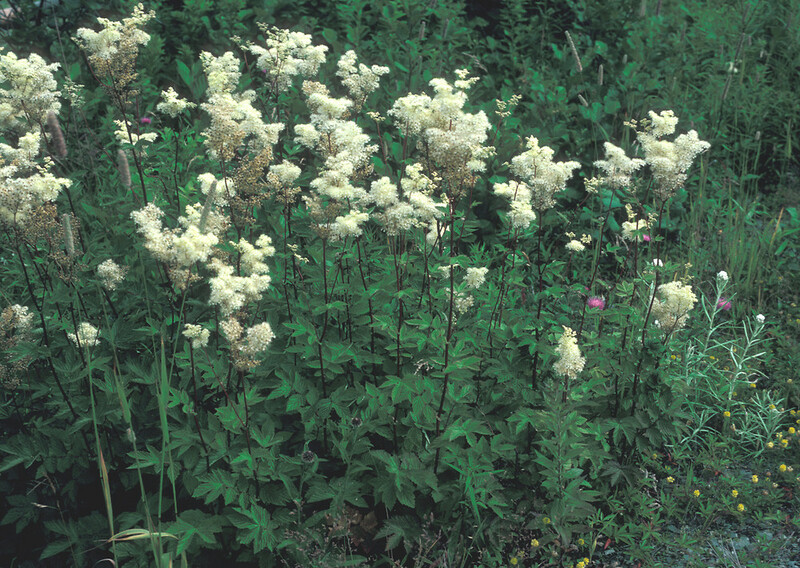 Tolerant of nibbling rabbits and deer, it can freely self-seed (animals may help, too) and can escape the garden. 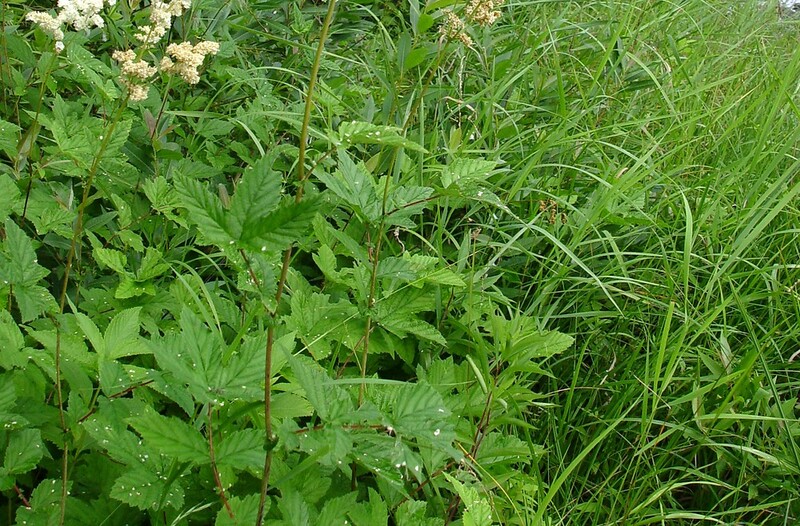 It is regarded as invasive in Wisconsin. 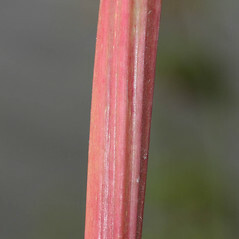 petals pink to red with irregularly toothed margins and leaves with lobed lateral leaflets (vs. F. ulmaria, with petals white with entire margins and leaves with toothed lateral leaflets). 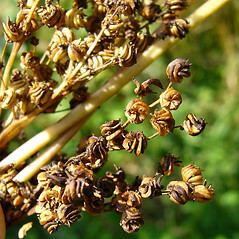 leaves with 2-5 pairs of well-developed lateral leaflets, carpels glabrous, and corolla usually with 5 petals (vs. F. ulmaria, with leaves with mostly 7-17 pairs of well-developed leaflets, carpels pubescent, and corolla usually with 6 or 7 petals). 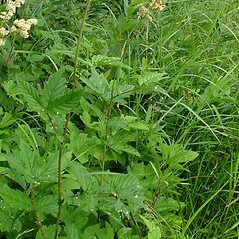 Filipendula denudata (J. & K. Presl) Rydb. 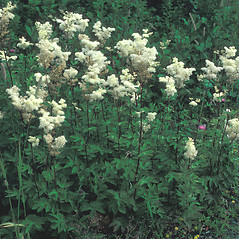 Filipendula ulmaria (L.) Maxim. var. denudata (J. & K. Presl) Haynee x Maxim. 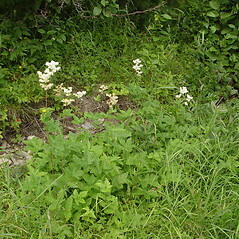 meadow dropwort. 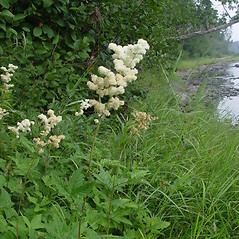 Filipendula denudata (J. & K. Presl) Rydb., F. ulmaria (L.) Maxim. ssp. denudata (J. & K. Presl) Hayek; F. ulmaria (L.) Maxim. var. denudata (J. 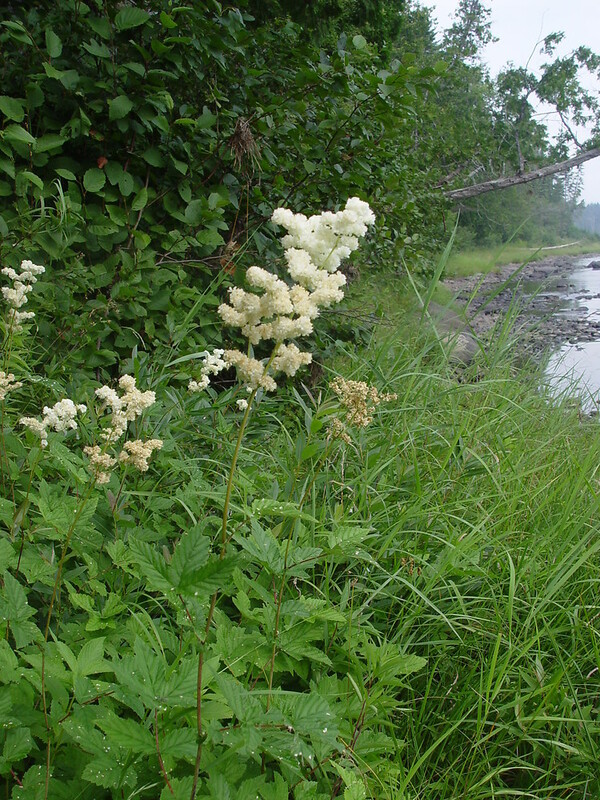 & K. Presl) Hayne ex Maxim., Spiraea ulmaria L. • CT, MA, ME, NH, VT. Fields, roadsides, wastes areas, gardens.